Like the airplane, the submarine evolved in the early 20th century into a real weapon. But for the British Royal Navy, this posed a dilemma. The Admiralty’s battle plan for its revolutionary new dreadnoughts foresaw high-speed clashes between rival fleets armed with very-long-range guns. The new dreadnoughts and battlecruisers launching from British shipyards hit the waves at speeds above 21 knots. If subs were to play any role in such a war, they had to be fast. The fastest British sub in 1912 topped out at 15 knots on the surface. Submarines are also important scouts — further emphasizing the importance of speed. In 1913 naval architect Sir Eustace Tennyson d’Eyncourt presentedAdm. Lord John “Jacky” Fisher with plans for a very large high-speed submarine capable of 20 knots surfaced. The K-class submarine, in theory, should be fast enough to scout ahead of the fleet, submerge below an enemy fleet and attack them from behind. To achieve such high speeds, d’Eyncourt turned to oil-fired steam turbines, then the only power plant capable of the job. That’s right, a steam-powered submarine. It worked out as badly as it sounds. When Fisher saw the K-class design he famously exclaimed that “the most fatal error imaginable would be to put steam engines in a submarine.” But during the war in 1915, confronted with the limits of present art, he relented and authorized the design. The Admiralty received a total of 17 K-class subs between 1916 and 1923. To accommodate steam propulsion, auxiliary diesels and the rest of a warship’s machinery, the K-class had to be huge – 338 feet long and weighing 2,500 tons submerged. That was as big as a destroyer. But they were fast – 24 knots on the surface during trials – a speed not equaled until the fish-shaped nuclear subs of the 1960s. They packed a punch too – eight 18-inch torpedo tubes and three 3- and 4-inch artillery pieces. However, the K-class boats took four minutes or more to retract their smokestacks, close their hatches, valves and dive – long enough to get sunk by enemy ships. The roaring-hot boiler room became uninhabitable once the sub submerged and was left unmanned – a tunnel ran fore and aft past the boiler room connecting the bow and stern of the sub. The K-class vessels wallowed like logs and maneuvered poorly. Once they finally submerged, the K-class often dove too fast to control. D’Eyncourt’s design violated a cardinal rule of pressure-vessel engineering – too many holes. Fitting a working steam engine in a submarine demanded lots of large-diameter ports cut through the thick walls that kept the sea at bay. If any opening failed to close properly the sub could sink … and did. In one of the first of many embarrassing and tragic incidents, the K-3made a test dive in May 1916 and – without answering helm or diving planes – buried its bow in the bottom. The channel at that point was only 240 feet deep, and the sub’s stern stuck out above the waves, its propellers whirling. Though no one was hurt, the presence of the Duke of York aboard the ship – the future King George VI – made the debacle especially grinding. Gas leaks, explosions, boiler fires, hydraulic failures … the calamities went on and on. The jinxed subs had no better luck when they finally went to war. 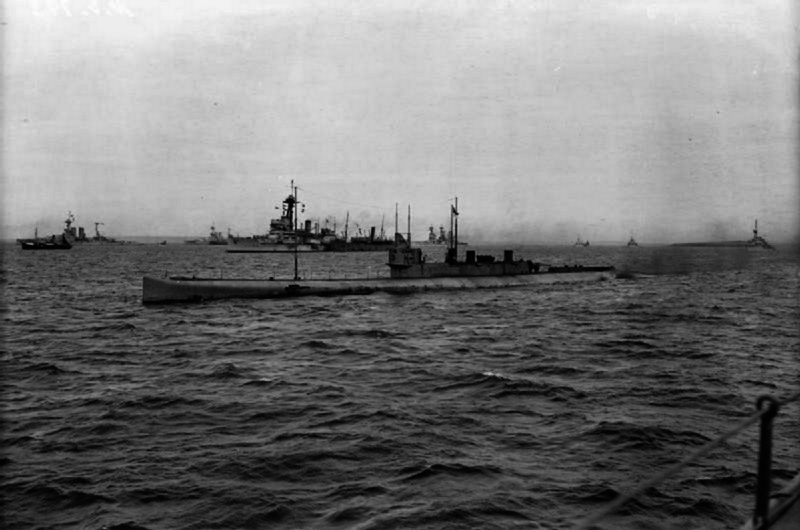 In June 1917, the 12th Flotilla including the K-2 and the K-7 patrolled the English Channel hunting for U-boats. The K-7 was mistakenly depth-charged by its own destroyers, and when it finally got a shot at a U-boat its torpedoes either missed or failed to explode. The K-2 was reported lost in action with all hands until she returned unannounced and freaked out her own navy. During an offensive sweep toward Denmark in November 1917, the K-1collided with the K-4 as the fleet maneuvered. The skill and alacrity of the crew saved the K-4 long enough for evacuation. The K-6 killed civilian workers when it refused to surface during a static test dive. The K-5 was lost at sea in January 1917, probably after diving too deep. That same month, the K-13 bottomed out in only 50 feet of water, but its stern section and boiler room flooded and drowned 31 men. A botched rescue operation compounded the tragedy. But by far the worst disaster occurred in the approaches to the great Royal Navy base at Scapa Flow. In February 1918, the 12th and 13th Flotillas including K-class subs formed part of a fleet bound for operations in the North Sea. As the long line of vessels steamed down the Firth of Forth at 19 knots, a group of minesweepers crossed its path without warning. As the fleet bunched up and the subs of the 13th Flotilla steered clear, the K-14’s steering gear jammed and left it crosswise in the flow. The K-22plowed into the K-14. As the two subs tangled together a passing battlecruiser struck the bow of the K-22. To compound the unfolding fiasco, the hapless 13th got run over by its own ships when the commodore turned around and steamed back to monitor the trouble. The K-6 rammed the K-4 which went down with all hands. The crew of the K-17 escaped their sub only to be cut to pieces by destroyer propellers as the rest of the fleet roared down the Firth at 21 knots. The “Battle of May Island,” as the disaster became known, killed 105 men and crippled or sank five submarines. Despite this horrendous record, the Admiralty stuck with the K-class program after World War I. The boats continued to screw up — K-21 sank at its mooring in 1921 due to valve failure. 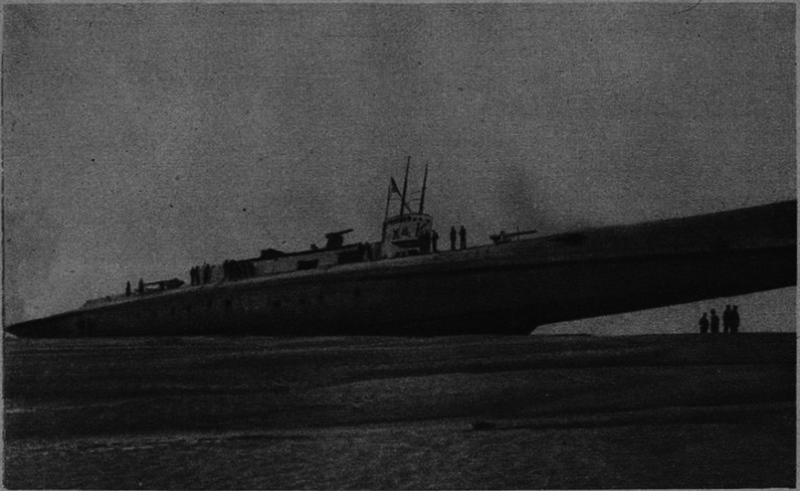 K-22 submerged with its funnels open. The last sub built, K-26, scalded two stokers to death when faulty steam valves popped during trials. The whole steam sub idea sounds ludicrous, and the sorry history of the K-class subs seemingly confirms every reservation about a concept best left to steampunk. But if the technology of the time couldn’t deliver the performance the strategy required, that surely was not only an Edwardian failing. Indeed, history has demonstrated the validity of the concept. The large, fast “fleet submarine” would become crucial to U.S. Pacific naval strategy in World War II. The ability to keep up with the fleet is as important today for American subs assigned to carrier task groups as it was for subs accompanying the Grand Fleet in 1917. And of course, every nuclear-powered submarine at sea today … is a steamship.